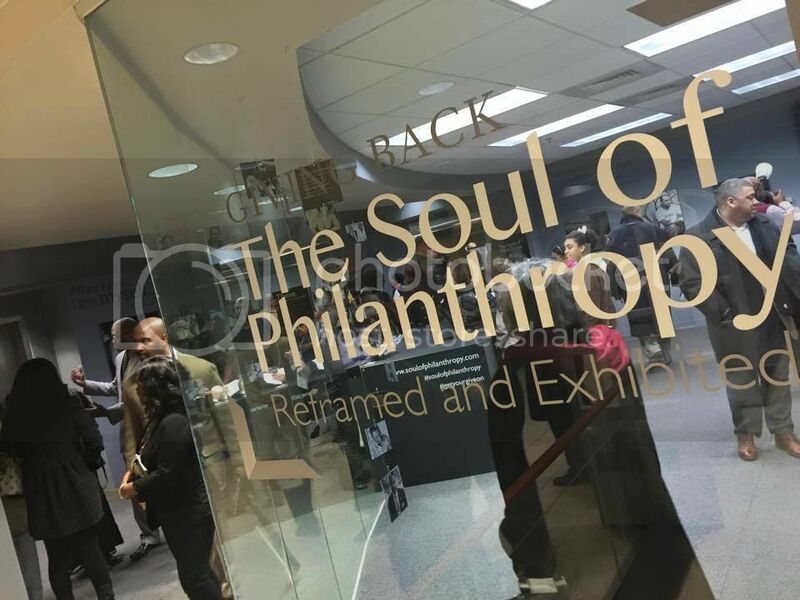 CHARLOTTE, NC—Over 400 viewers turned out for the launch of Giving Back: The Soul of Philanthropy Reframed and Exhibited, a new touring exhibit that opened at Johnson C. Smith University (JCSU) on February 20. 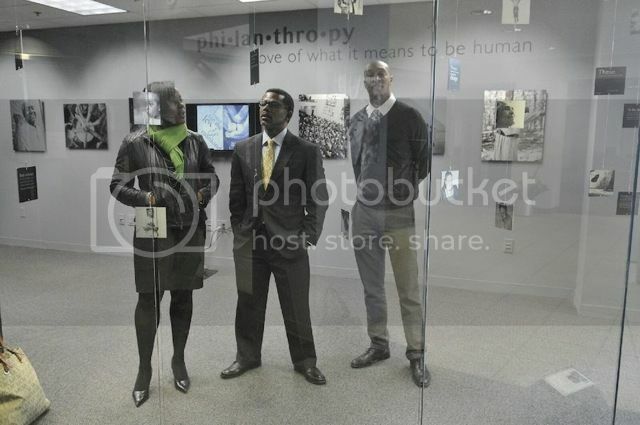 JCSU, a historically black college in Charlotte collaborated with writer Valaida Fullwood, photographer Charles W. Thomas Jr. and giving circle New Generation of African American Philanthropists to develop the exhibit, which is based on the book “Giving Back: A Tribute To Generations of African American Philanthropists.” A grant from the Institute of Museum and Library Services (IMLS) supports a 10-city national tour. 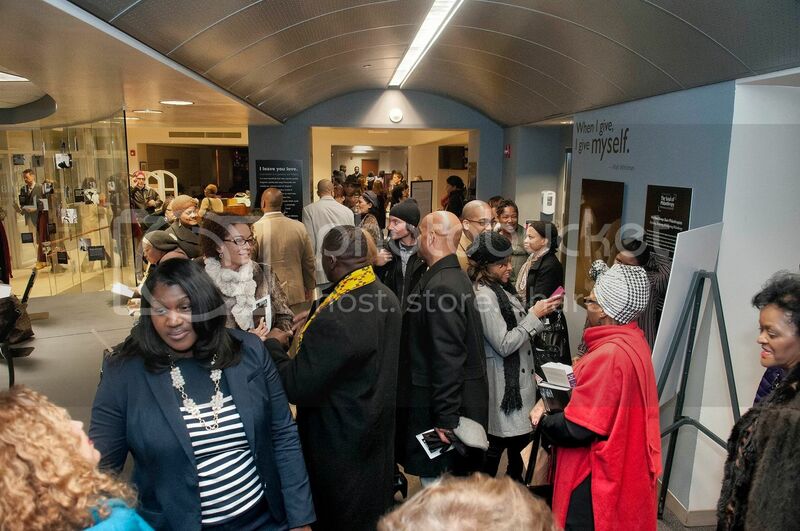 A daylong string of campus and community events marked the exhibit’s opening. An intimate, VIP breakfast allowed donors and special guests to preview the exhibition with a tour led by artists Fullwood and Thomas. 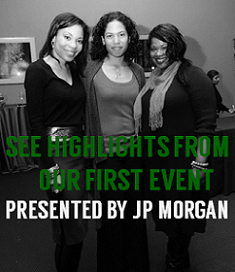 On campus during the day, JCSU students participated in various programs and panel discussions. 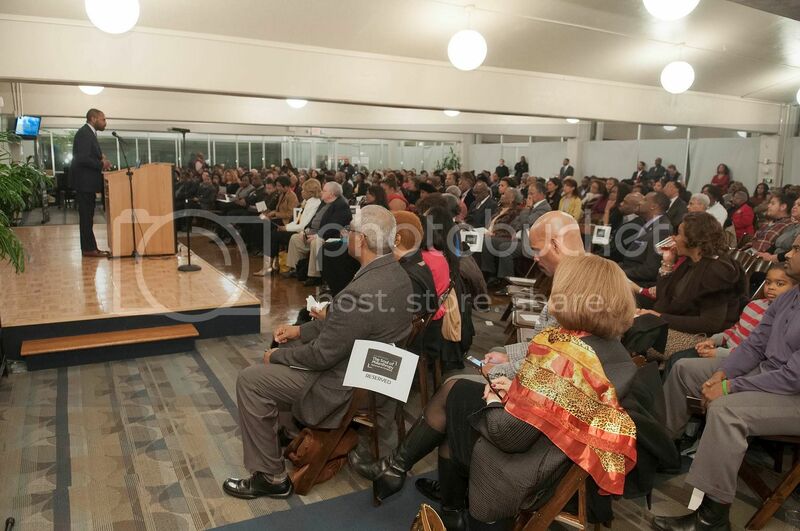 “Careers in Philanthropy,” sponsored by D5 Coalition, featured foundation program officers, development directors and other professionals of color who discussed their jobs, career path, education and training. The program “Hip-Hop, Philanthropy and Conscious Giving” featured deejays, educators and hip-hop artists who shared how music, culture and experiences of young people can inform and shape social movements. which will host the exhibition in fall 2015. 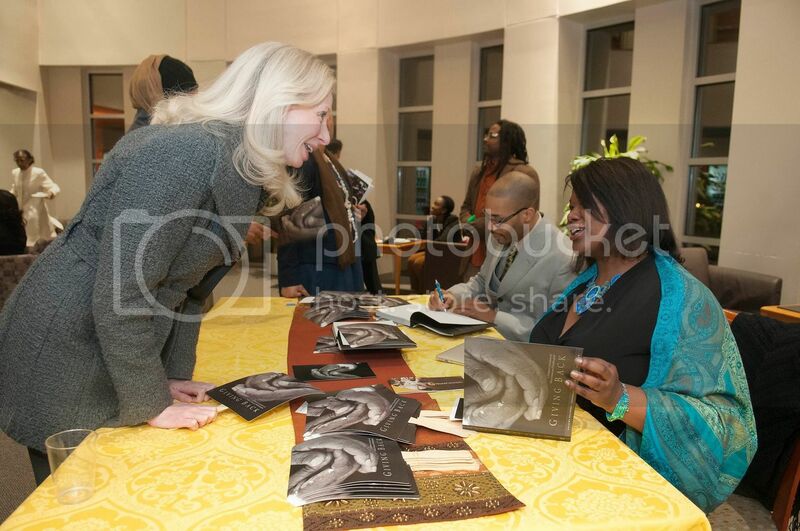 Author A’Lelia Bundles, descendant of illustrious arts patron A’Lelia Walker and iconic philanthropist Madam CJ Walker, was the evening’s featured speaker. For the culminating event, guests followed a path of glowing luminaries to the campus library where the exhibit is on display. As guests toured the gallery and enjoyed dessert, Tyrone Jefferson and A Sign of the Times band performed classic soul music and jazz. 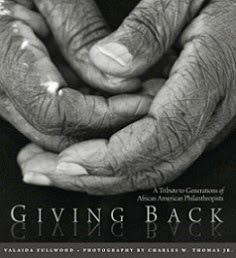 Bolstering the exhibition are a series public programs where groups explore multiple facets of philanthropy, including HBCU giving, the influence of faith on generosity, the influence of identity and culture on philanthropy, and collective giving. 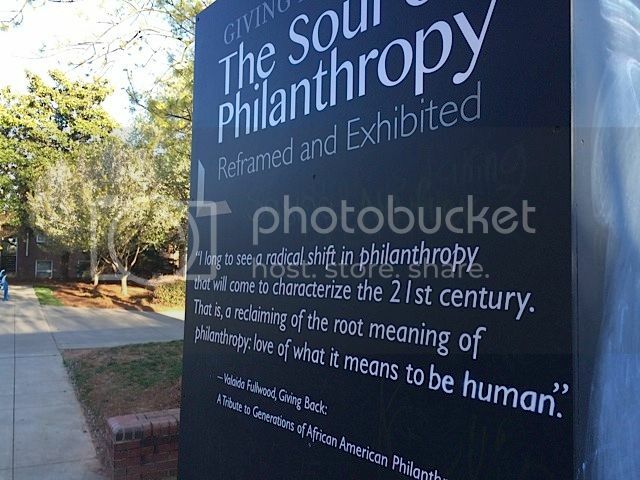 “The Soul of Philanthropy” is on display at JCSU’s James B. Duke Memorial Library through mid-May and afterward embarks on the IMLS-funded tour to pre-selected cultural institutions and colleges in 10 communities. Watch this new promo video to hear why “The Soul of Philanthropy” matters. Email library@jcsu.edu, to schedule a group experience, book a guided tour and/or learn more about upcoming programs and educational forums in Charlotte.